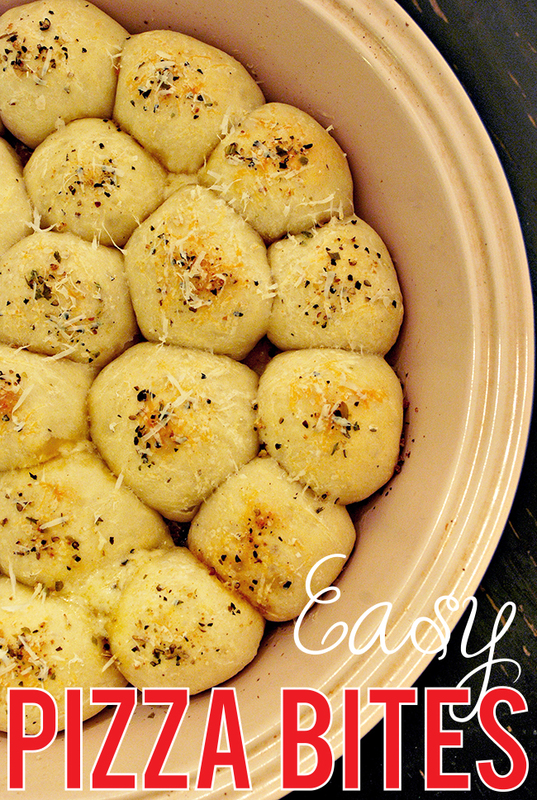 Would you believe this pull-apart pizza bites recipe only has 5 ingredients? If you start with a store-bought pizza dough they’re as easy as can be, and you can fill them with whatever toppings you might like – pepperoni, pre-cooked veggies, or a variety of cheeses. For a party, you can even make several batches with all different fillings to suit everyone’s tastes. Serve marinara sauce and ranch dressing on the side for dipping, and you’re good to go. Perfect party food! To get the pizza bites recipe, visit Three Square. Reposted gratefully with permission from Nicole at Three Square. I'm definitely making these for my next party!